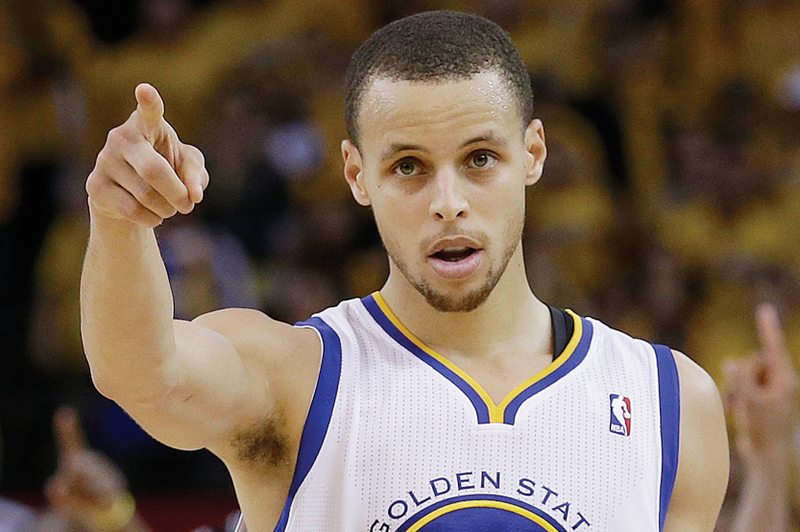 Stephen Curry is the best player on the Golden State Warriors. In fact, he should’ve been an All-Star this past season. After averaging 21 points, 6.6 assists, four rebounds, and 1.6 steals on 43.4 percent shooting, 44.7 percent shooting from three, and 90.5 percent free-throw shooting in the first half of last season, he was more than deserving of his first All-Star selection. NBA legends such as Charles Barkley, Kenny Smith, Shaquille O’Neal, and Chris Mullin all believed that Curry should’ve been an All-Star too. Instead of being disappointed about not being selected as an All-Star, Curry raised his game to a whole other level in the second half of the season. Curry averaged 26 points, 7.4 assists, four rebounds, and 1.7 steals on 47.6 percent shooting, 46.1 percent shooting from three, and 89.4 percent free-throw shooting. The second half of the season also included Curry’s unbelievable 54-point game against the New York Knicks at Madison Square Garden. In that game, Curry shot 18-for-28 on field goals, 11-for-13 on threes, and 100 percent from the free-throw line as well. He set a franchise record with 11 made 3-pointers in the game, and he scored the most points in NBA history for a player with 10 or more 3-pointers made. This performance was arguably one of the greatest shooting displays ever. Curry finished the season averaging 22.9 points (seventh in the NBA), 6.9 assists, four rebounds, and 1.6 steals on 45.1 percent shooting, 45.3 percent shooting from three (third in the NBA), and 90 percent free-throw shooting (second in the NBA) in 38.2 minutes per game in 78 games. The fact that Curry was able to play 78 games was an impressive feat in itself. Curry had two right ankle surgeries in the past two offseasons, which led many people to label him as “injury-prone.” In the shortened 2011-2012 season (66 total games instead of 82 games), he only played in 26 games and was shut down due to his right ankle injuries. He tweaked his ankle a few times during the 2012-2013 regular season, but given how minor they were, he only had to miss four games. He also played in 12 postseason games and 90 total games this past year, which is incredible. In the postseason, Curry officially became a superstar. He had some incredible performances, including his 31-point effort in Game 4 of the series against the Denver Nuggets. He scored 22 points in the span of about five and a half minutes, and 19 of those 22 points came in the final 4:22 of the quarter. In the postseason, Curry averaged 23.4 points (sixth in the NBA), 8.1 assists (second in the NBA), 3.8 rebounds, and 1.7 steals on 43.4 percent shooting, 39.6 percent shooting from three, and 92.1 percent free-throw shooting. Curry stepped up when David Lee went down with his right hip flexor injury in Game 1 of the Denver series. Curry also badly sprained his left ankle in Game 2 of the Denver series, but he knew he had to play through it and lead his team to victory. Curry is considered a superstar and one of the best point guards in the NBA by many people, but every superstar can improve their game in some way or another. Curry needs to work on limiting his turnovers, getting physically stronger, drawing more fouls, and becoming a better one-on-one defender. If he can do that next season, he will raise his game to a new level of superstardom. With Monta Ellis not on the team anymore, Curry knew he had to become more of a leader and a vocal presence on and off the court this past season, which he certainly did. Curry is the face of this franchise, and he’s ready to lead this team to even higher levels of success next season. We appreciate you sharing outstanding informations. Your websites are very cool. We are impressed by the facts that you�ve on this internet site. It discloses how nicely you perceive this particular subject. Book-marked this web page, will come back for further articles. An individual, my pal, Stone! I found the info I already researched all over the place and just couldn�t come across. Exactly what a perfect web-site.